James "Jim" Oberstar was a Democratic member of the United States House of Representatives, representing the 8th district of Minnesota. The Council for a Livable World, founded in 1962 by long-time socialist activist and alleged Soviet agent, Leo Szilard, is a non-profit advocacy organization that seeks to "reduce the danger of nuclear weapons and increase national security", primarily through supporting progressive, congressional candidates who support their policies. The Council supported Jim Oberstar in his successful House of Representatives run as candidate for Minnesota. On 26–29 October 2009, Erwin Marquit traveled to Washington DC to attend the first national conference of JStreet, the nonprofit advocacy organization founded in 2008 to promote a resolution of the Israel- Palestine conflict through a two-state solution based on the 1967 borders. On Jan. 27, 2010, U.S. Representatives Keith Ellison and Jim McDermott led 52 other members of Congress in signing a letter addressed to President Barack Obama, calling for him to use diplomatic pressure to resolve the blockade affecting Gaza. 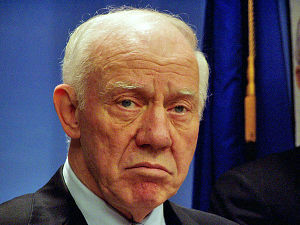 Jim Oberstar was one of the signatories of the letter. The entire letter together with a complete list of signatories can be read by clicking here. This page was last modified on 27 October 2015, at 00:46.